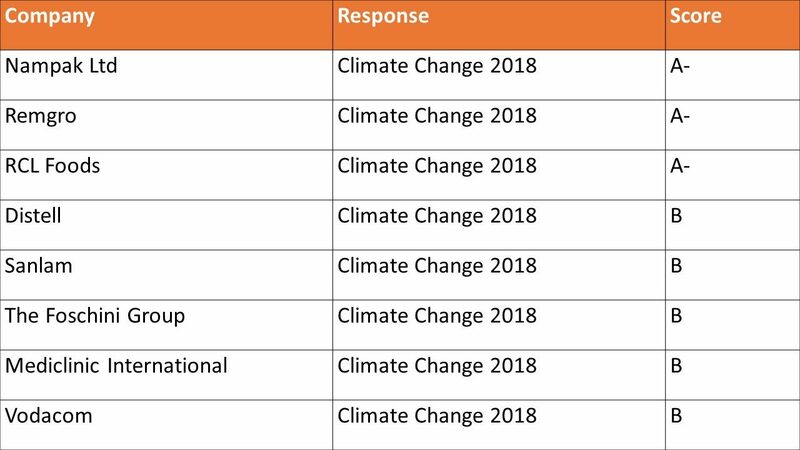 The Carbon Calculated team would like to extend congratulations to all of our clients who participated in CDP climate 2018 submission. Of particular note, is the achievements of Nampak, RCL Foods and Remgro who all received A- scores for their 2018 South African disclosures. These scores are commendable, especially in light of the CDP’s strict scoring criteria this year. See a full breakdown of each of our client’s score’s, below. We feel privileged to be working alongside our clients on their low carbon journies, and look forward to sharing many more proud moments, like this, with them in the future.